Short Kurtis Manufacturers, Wholesaler, Suppliers in Sitapura Industrial Area, Sanganer, Jaipur. 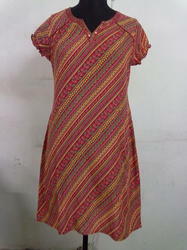 Keeping in mind the emerging trends of the market, we are engaged in offering Casual Wear Short Kurtis for our clients. They are designed and crafted and render a sophisticated look to the wearer. These short kurtis are made from high quality fabric materials to make sure of their durability. They are competitively priced. 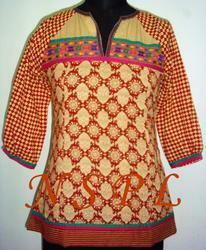 To attain maximum clients’ satisfaction, we are engaged in offering Designer Wear Short Kurtis. Our offered kurtis are available in various designs, colors, sizes, patterns and textures. This range offered by us is fabricated using the finest quality fabric materials as per the latest fashion trends of the market.